The stories of devastation and desperate need coming out of Puerto Rico are heartbreaking. 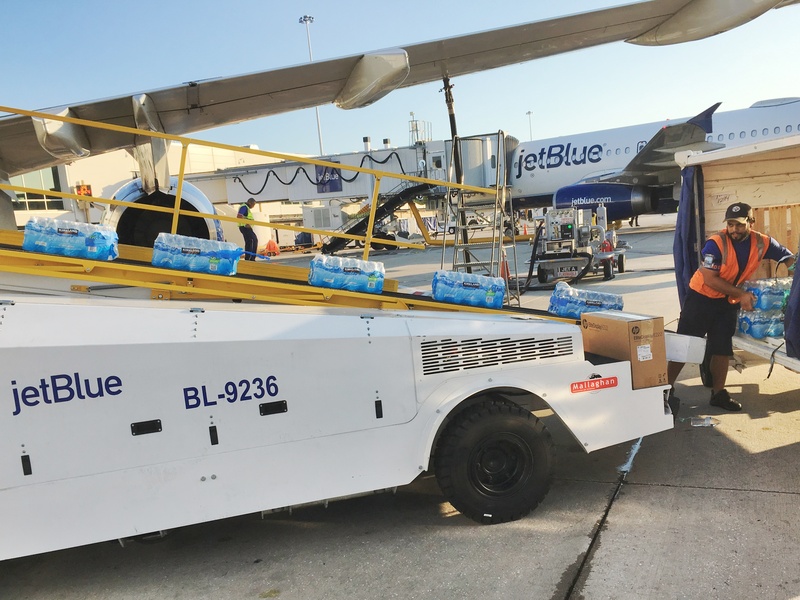 With a massive emergency response urgently needed and recovery efforts expected to take months (if not years), JetBlue has established a new program to help our crewmembers, customers and neighbors in Puerto Rico and the Caribbean: 100x35JetBlue. 100x35JetBlue is a multifaceted program to support both short-term relief and long-term recovery efforts following the destruction from Hurricane Maria. This is extremely personal to us. As the largest airline on the island, nearly 500 crewmembers, service to three airports, and a focus city in San Juan, we are supporting our crewmembers, customers and neighbors with supplies, relief flights and other immediate needs. We are also committed to investing in programs that will help rebuild and repair Puerto Rico and the Caribbean. Named in honor of the popular reference to Puerto Rico’s 100x35 mile size, we are rolling out with airlift support, relief pricing, awareness and fundraising and people deployment. We’re working with government agencies, non-profit organizations and partners to support the community in as many ways as we can.